Description: Android mobile app to demonstrate the power of IoT developed by UNED. 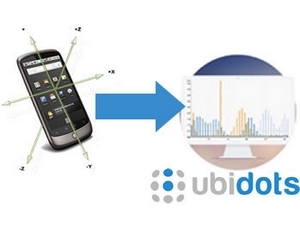 It shows how data from the student phone can be sent to an IoT dashboard (Ubidots) to be analized. This demonstrator will allow concurrent users accessing at the same time to the system, which is very positive for an on-line massive environment like the one proposed in the project. With this demonstrator it is possible to use a real IoT application without any technical knowledge required.